will transform his understanding of his tragedy and change his life forever. The Shack will be in theaters everywhere March 3, 2017. 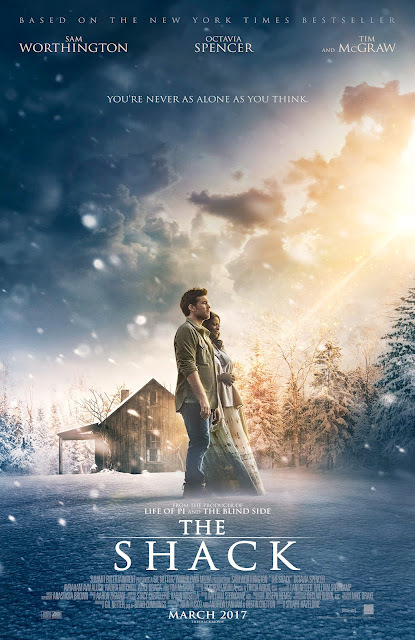 I'm teaming up with Lionsgate to giveaway a prize package for The Shack! soundtrack, and movie passes to see the film once it's released in theaters. attend a screening as a representative of the media. All opinions are my own. I will take my wonderful husband to see this movie. I read the book and loved it, so I'm sure the movie is great too! I'd like to see it with my husband. I'll probably go alone -- it's not my DH's kind of movie. my husband. thanks for the chance. I will go with my friend. I'd take my hubby to see this. I would go see this with my husband. I would take my husband. We haven't gone on a date in a while. I think maybe my son's girlfriend or her mom. I think it would be a nice uplifting movie. If I win I will take my hubby to see this movie. Sounds like a good one! I would take my husband to see this! I would love to take my wife to see this.